When you’re talking about final costs, the cheapest way to move is to do it all on your own. However, there’s so much more to think about than just monetary considerations. You need to think about your mental health too. Moving can be stressful, time-consuming, and confusing when you attempt to do it all on your own. 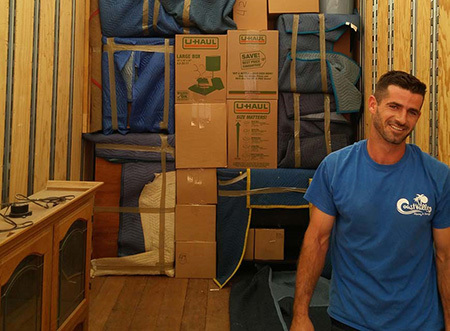 If you want your move to be as simple and stress-free as possible, you need to hire a professional team of Laguna Niguel movers. At Coast Valley Moving & Storage, our Laguna Niguel moving company offers a great value on professional moving services throughout the Bear Brand Ranch community and all of Laguna Niguel. Many people throughout the area turn to us because we have over 40 years of experience. In order to ensure that your move goes as smoothly as possible, you will be paired with a move coordinator whose entire job is to orchestrate your move to your exact specifications. Planning a move across town is one thing. Moving far from home is another. Whether you’re moving to the other side of the state, across state lines, or internationally, professional Bear Brand Ranch moving companies can make life a lot easier. At Coast Valley Moving & Storage, we can further simplify your move because we are an agent for Wheaton World Wide Moving. No matter what your destination, our expert, professional Bear Brand Ranch movers can get you there quickly and seamlessly. Learn more about all the ways we can simply your move by giving us a call or filling out our online form!